I am curious as to what does the crater of Olympus Mons contain? Does NASA have any mission to send a space probe to land on it? If not, what about other parts in Olympus Mons? There are other areas of Mars that show more interesting chemical compounds, etc, that just don't show up on the mountain. Thus, they are higher priority. I suggest if you are curious then look up HiRISE images from Olympus Mons. There are quite a few of them, and they give a pretty good indicator as to what it's like. Not the answer you're looking for? Browse other questions tagged mars probe lander or ask your own question. Will there be a team of planetary scientists advising the Emirates Mars Mission team? 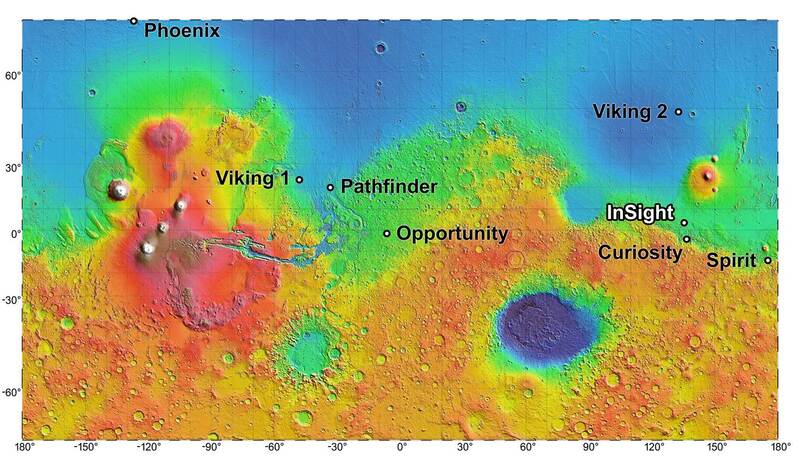 Why has no lander or rover visited Hellas Planitia on Mars? Space probe design based on intended exploration trajectory? Since NASA's InSight Lander's launch has been delayed by two years, are there any plans to edit its payload? What is the meaning of twelve months for climate at Gale Crater, Mars?